The Indian Premier League (IPL) is one of the biggest events in India (and not just in sports). This cash-rich event is a professional Twenty20 cricket league with franchise teams representing 8 major cities. The 11th season of the 2 month-long extravaganza is all set to make big bucks and entertain millions of spectators starting 7th April, 2018. How Big is the IPL? The IPL’s brand valuation touches a whopping $5.3 billion this year, a 34% hike from last year’s valuation. To put that into perspective, one IPL game is now worth almost as much as one English Premier League (EPL) football match. Mind you, the IPL has been around for only 10 years, as opposed to 25 years of the modern day EPL! The viewership of IPL is also flourishing. The 2017 edition of the IPL garnered a viewership of 1.24 billion impressions across channels, a jump of 22.5% over last years. The IPL, 2017 had a remarkable social media following and was mentioned on Twitter over 6 million times, twice as much as the season before that. To latch on to this booming wave, all the giants in the industry fought hard when the 5 year digital rights of the IPL were up for grabs this year. Facebook bid $600 million, and lost out to Star to a staggering $2.5 billion bid. The IPL has 8 franchise teams participating every year. The franchise teams are auctioned and owned by the country’s richest (and that includes deep-pocketed Bollywood stars as well). Furthermore, the world’s best players are auctioned for millions of dollars to play in these local teams – that’s double the star-power on view! Opposed to the traditional 5-day Test match and 50-overs a side one day international formats, the IPL’s Twenty20 format is a 20-over a side affair. Compressed into 3 hours, this ensures high-octane on-field action right from the first-ball with batsmen, bowlers, and fielders giving it their all! How Companies are Preparing for it? Cricket is a religion in India. And millions of Indians tune in to be part of this festival every year. Additionally, the IPL is streamed globally, exposing brands to viewers across geographies. Mobile marketers look at IPL as a great opportunity to drive growth and revenue. With an excited audience, it’s easier for marketers to acquire new users. The IPL also allows marketers to re-engage and build a connect with inactive users via discount offers, promo codes, and match updates with the objective of monetizing their target customers. The OTT Industry Cheers Out Loud for the IPL! Sony Pictures Networks India (SPN) had owned the IPL digital rights right since the cash-rich tournament’s inception. Over the last 10 years, it has helped build a strong brand image of the IPL event (and not just of the teams). Last year, Sony recorded about $200 million only in ad revenue sales. While Sony is disappointed that it won’t be able to reap the benefits of the IPL brand they’ve built so carefully, Star is all ready to build on this viewership momentum. Hotstar, the country’s largest OTT player with over 100 million downloads, is the newest owner of the digital rights of the IPL. The hefty sum of $2.5 billion paid for the IPL rights is thought of as a confident investment for opening up new opportunities to acquire more users over the next 5 years and scale up viewership to more than 700 million this year (150 million over last year). Ahead of this season, Hotstar released a self-serve ad tool that empowers advertisers to better target and engage with their followers. Star eyes ad revenue sales of over $276 million this year. With a strong focus on improving the user experience, Hotstar is geared up to redefine the cricket viewing experience for its fans. While users have always streamed the matches on their laptops, mobiles, tablets, and computers, Hotstar will also stream them in Virtual Reality (VR) this year. Users can now immerse themselves in the cricketing experience closely and enjoy the game through an altogether different dimension. To drive local coverage and further personalize the viewing experience, Hotstar has announced live game commentary in 6 regional languages this year. Hotstar is determined that the IPL festivity is not just of 2-months duration. Cricket fans want to know more and more about their beloved players and teams. Hotstar has engaged with its users right from the onset – auctioning of players and teams – and plans to keep providing more high quality content about fans, teams, sportspersons, and what they do even after this edition of the IPL comes to a culmination. BookMyShow, the exclusive ticketing partner for this IPL, is excited to have its share of the cake. Being India’s largest online entertainment ticketing platform, it boasts a customer base of over 25 million and a huge brand recall. With a deep understanding of user behavior and preferences, it strives to personalize the user experience for its users. This year, BookMyShow is set to run targeted marketing and promotional campaigns on its own platforms to create awareness and drive numbers. Did Someone Say Fantasy Sports? IPL is also the busiest time of the year for fantasy sports. In 2017, close to 20 million users were recorded as daily fantasy sports users in India, and this is expected to grow 30-50% per annum. Dream11, the leading fantasy cricket app, signed a deal with Star India to be the associate sponsor of IPL, 2018. With the sway that cricket holds over the country, and with hundreds of millions of them consuming it online, Dream11 latched on to the inherent need for fantasy cricket at the right time and has captured almost 90% market share. And, it wants more! To grab more eyeballs with the IPL, Dream11 recently unveiled none other than Mahendra Singh Dhoni (the highly celebrated cricketing legend who has led the Indian cricket team to two World Cups) as its Brand Ambassador. With this strategic move, Dream11 wishes to strengthen its position in the online Sports Gaming industry. But there are other contenders in the game now. 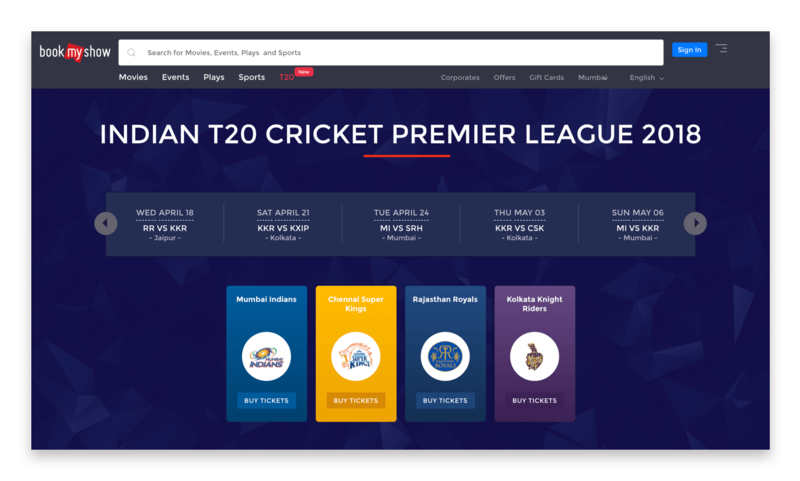 Using the IPL as an opportunity, UK-based fantasy sports player Starpick has recently launched itself in the country. Proud of the technological advantage which adds to the user experience, Starpick is confident of actively engaging and retaining its users. 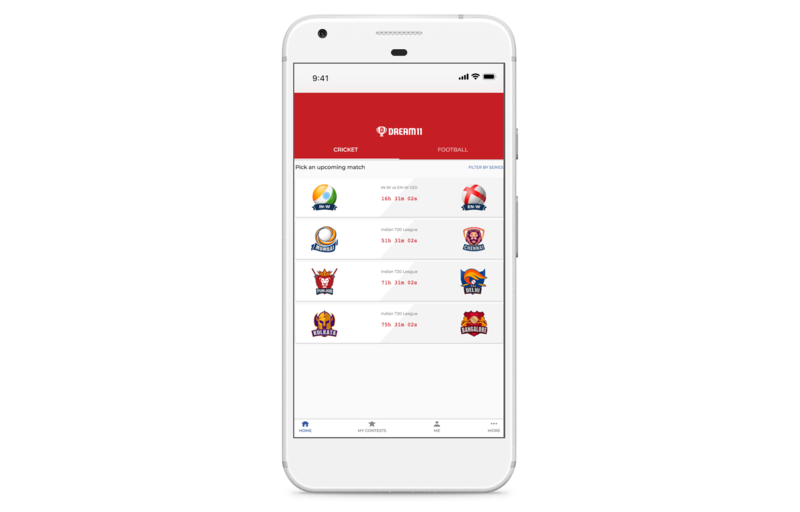 With the IPL, it intends to establish a strong hold in cricket first, and then expand its footprint across multiple fantasy sports. You can’t watch any match without any pizzas or finger food in the house! The food tech industry has always thrived during the IPL season. With every passing season, food delivery businesses continue to drive growth. Online restaurant guide Zomato saw a 40% rise in its online traffic on the IPL match days. Sponsors, Sponsors, and More Sponsors! Brands worship the power of IPL sponsorship. The exposure via multiple channels greatly influences brand recall. A name across team jerseys or armbands can become a major competitive advantage from a visibility standpoint. Reliance Jio, India’s largest telecom corporation, has charted out a strategy to have the strongest network for its brand presence during the IPL, 2018. It has closed in on sponsorship deals with all the 8 IPL franchisees in different categories as part of the “smarter, smaller” deals to drive brand recall. Vivo, the global smartphone manufacturer, grabbed the title sponsor position 3rd year in a row. With a bid of $338 million, it has secured being the title sponsor of IPL for the next 2 seasons as well. We’re Watching the IPL, 2018 Too! Businesses scale aggressively with the IPL, and so do we. Last season, we watched the users consume the IPL, 2017 via the CleverTap lens and uncovered some amazing data insights. We sent over 14 billion push notifications and ran over 700 campaigns throughout the previous season. We are expecting more than 25 billion notifications to be sent out by many a brand across industries this season. Privacy and User Consent: Protecting customer data is a top priority for us. CleverTap offers enterprise-grade security, privacy, and confidentiality of customer data. The system is built so there is no single point of failure. This ensures that businesses can focus on creating memorable experiences for their users and are not wasting time worrying about security and privacy. We are also working to be GDPR compliant. Read more here. “Our proprietary architecture deployed on AWS will enable us to scale up as required this IPL season, without compromising on reliability and stability”, said Suresh Kondamudi, Co-founder and CTO of CleverTap. We are delighted to see the new trends this year. The growing focus on understanding what users want has enabled businesses to serve them better and build a stronger brand connect. With companies embracing technology to help with customer experience, we look forward to more companies capitalizing on tech advancements to drive personalized user experiences at scale. Stay tuned to hear more from us this IPL season, for it promises to be one for the ages!